A couple more cards showed up, looks like this series may end up running 9 days! CELEBRATE!!!!! Here's another one where I have the non-patch parallel in the binder already! 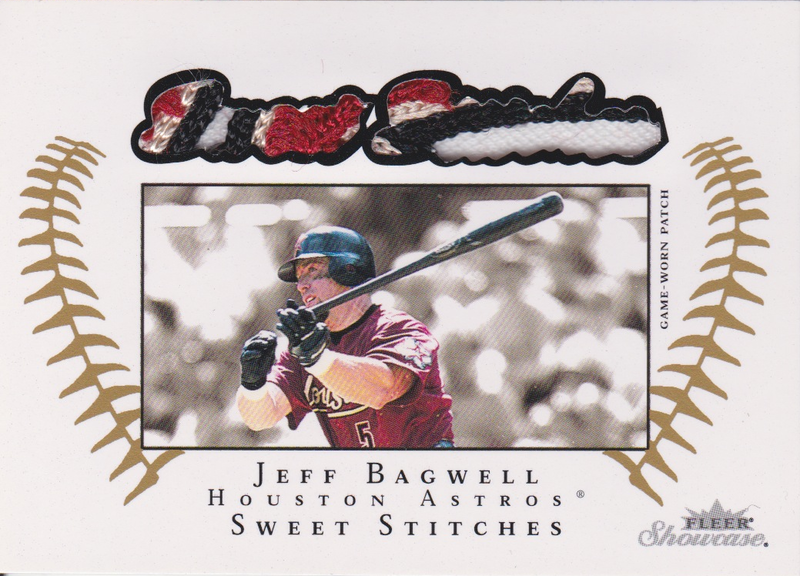 I love what they TRIED to do here, the cutout of the patch should read "Sweet Swatches" but it's dang near impossible to see that, look like two blobs. Great idea Fleer, horrible follow through. Still.... I LOVE this card, gold seems along both sides of the picture, great picture of Bags. Love it.